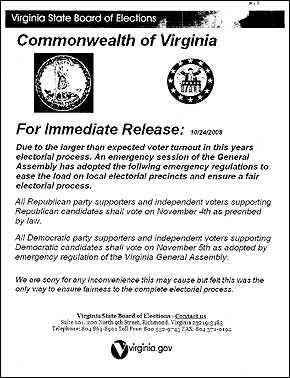 "We are sorry for any inconvenience this may cause but felt this was the only way to ensure fairness to the complete electorial process." 1. America deserves better than this. 2. Electorial process? Check your grammar if you are going to fake an announcement when trying to rig an election. Click here for the back story. And show up on November 4th. Well dirty tricks at this stage are to be expected. This whole business with the Aunt... Let's break that down to what it is. Black man had relative living in extremely vulnerable and excluded circumstances within the modern American city. We could be talking about Obama. Or we could be talking abaut millions of other people. The thought of using this for political milage...Yikes.